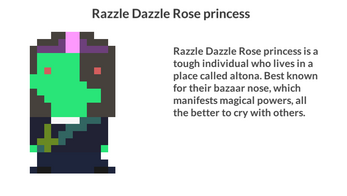 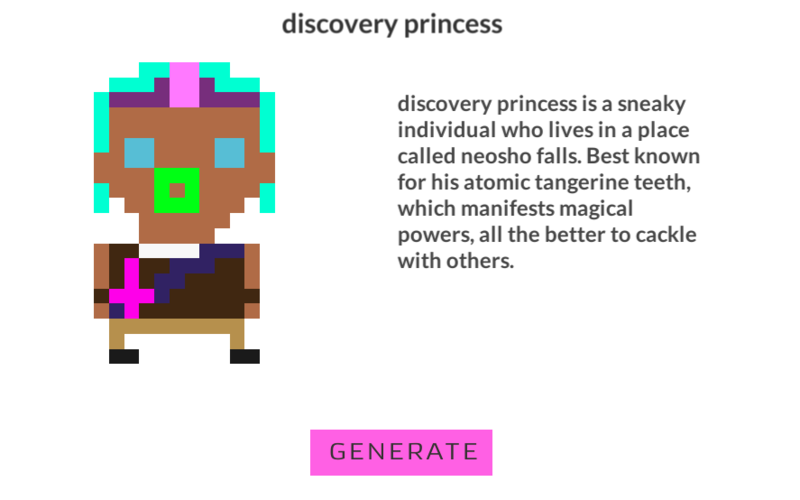 A tool for generating Princesses and their back stories. Anyone can be a Princess. Using this amazing Unity tool from Playvor to generate pixel art. 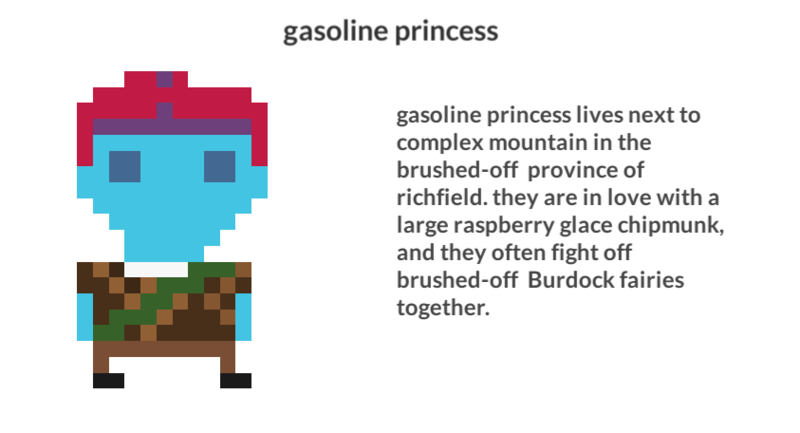 Dictionaries of words used and edited from ScrapMaker.